The much-anticipated Louvre Abu Dhabi will open to the public on Saturday, November 11, with a spectacular week-long series of celebrations. It is the first museum of its kind in the Arab region and offers a new perspective on the history of art in a globalized world. The museum’s collection spans the history of humanity and will explore a universal narrative through artworks and artifacts from all over the world. The inaugural installation will take visitors on a chronological journey from prehistory to the present day, encompassing 12 chapters including the birth of the first villages; universal religions; cosmography; the magnificence of the royal court; and the modern world. Presented across 6,400 square meters of galleries, the museum’s growing collection includes more than 600 important artworks and artifacts, approximately half of which will be presented for the opening year. It includes ancient archaeological finds, decorative arts, neoclassical sculptures, paintings by modern masters and contemporary installations. The museum’s contemporary art collection has nine canvases by Cy Twombly and a monumental sculpture by renowned international artist Ai Weiwei. 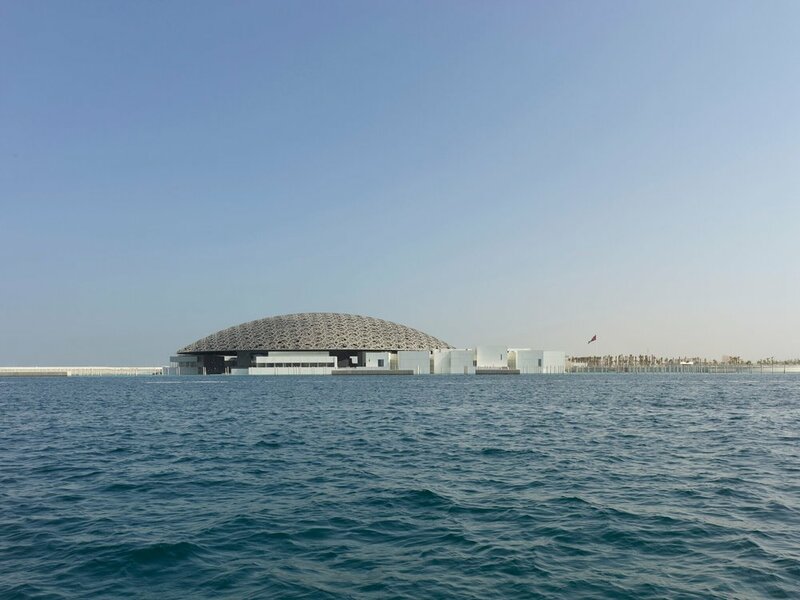 As part of an ongoing programme of commissions, Jenny Holzer and Giuseppe Penone have created monumental site-specific installations, exhibited under the dome in the open air and embedded in Louvre Abu Dhabi’s architecture. As part of the intergovernmental agreement between the UAE and France, Louvre Abu Dhabi has access to expertise and training from 17 French partner institutions. It will also benefit from the ability to borrow works of art from 13 leading French museums for 10 years, and from special exhibitions organized by these institutions for 15 years.